Springville Utah Search Condos; Search Condos for Sale in Springville Utah. Our search offers the best online, live search engine in Utah County. 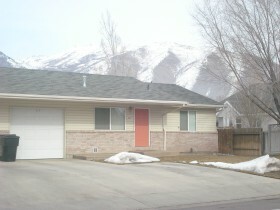 The search has listings of all Springville Homes, condos, and townhomes for sale. When you subscribe to our Buyer's Club you will receive daily emails of every new listing and price change within your search criteria. You will have free unlimited access to every home listed for sale in Utah County. When you use our search you can save favorites, rank the one's you like, and make notes. If you have questions about the Homes you have seen, Team Teasdale Realty will be able to view your list with you. This makes exchanging information fast and simple. Buyers love that our search points out which Homes are Bank Foreclosures Condos in Springville and which ones are Short Sales in Springville. You will be able to find the Fannie Mae and Freddie Mac Bank Foreclosures and HUD Homes on the first day they come for sale. Be the first to know when a great deal has arrived. Remarks: 11/23/2010 Chase approved short sale price- "AS IS" **** Awesome deal on great 3bd/2ba home. new paint & fixtures. beautiful tile work. ktchen in basement could be used for a mother-in-law suite fully fenced. large shed & extra parking. easy to show. What is Your Springville Utah Condo Worth? A CMA is a Comprehensive Market Analysis that evaluates recent sales in Springville and provides you with an estimated price range for which your Springville home might sell in the current real estate market. In order to prepare a CMA, a local Springville REALTOR must view your home and compare your features to that of comparable properties. Paul Teasdale your local Real Estate Broker has been selling homes in Springville for 16 years. In fact, Paul has lived in Springville and currently lives in Mapleton, Utah. He has sold over 900 homes in Utah County and several hundred condos and homes in Springville. He will give you a free accurate analysis of what your Springville condo or homes is worth.